Last month, we wrote about moving to a new city and what that can entail in terms of weather, traffic, and settling into your new place. However, once you’re in the city and used to the traffic, the weather, and your new place, what do you do? At EZ Storage® in St. Louis, we can help you find the perfect self-storage unit for anything you want to keep safe. In this post, we’re going to take a look at the first month in a new city and what you can do to learn more about your new surroundings. You may not be the most outgoing person, but it’s still important to get out and meet people. 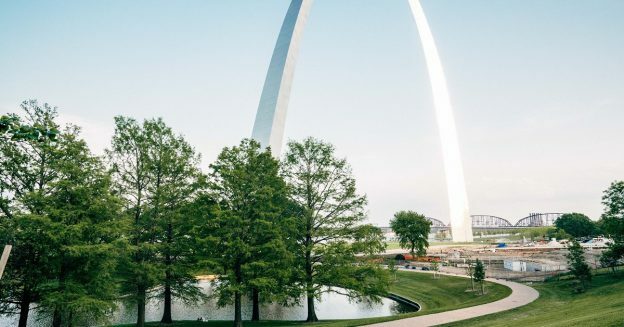 If you moved to St. Louis by yourself, then you may be tempted to sit in your house or your apartment. However, you might start to get cabin fever, and going out and meeting people can be easy. Look for clubs or groups that do things you’re interested in, such as board games or running. If you’re starting a new job, then you’ll be able to meet people through the office. If a coworker invites you to happy hour, take them up on it. You don’t need to talk to everyone there, but you can meet a few people within your department, and they can learn some things about you. When you moved, you switched your utility providers and got all of your billing address information in order. During your first week, you likely found a nearby grocery store where you bought what you needed for the fridge and pantry. As for other services, the first month can be a great time to find a new bank, discover where the closest post office is, and which mechanic is the one to take your car to when there’s a problem. If you bought a house, then you’ll also want to look up plumbers, electricians, and other service providers who can help with any issue that pops up at home. If you’re renting, then your landlord or property management company likely already has these services lined up in case of any problems. Even so, it can be good to know who’s going to be coming to your house or apartment when there’s a leak or the lights don’t work. As you settle into your new house, you might realize that there was some stuff you moved that maybe could’ve been donated, sold, or tossed. If you have boxes full of random stuff, then take some time during the first month in your new place to go through them and get rid of some things. You may discover some items you thought you’d tossed or lost many years ago, and you’ll likely come across some things you can’t believe you still own. If you have belongings that you want to store somewhere besides your garage, closet, basement, or attic, then EZ Storage® is here to help. We have a great selection of self-storage spaces to choose from, and our staff is always happy to answer any questions you may have. You can rent a unit for a month or two, or keep your boxes, tubs, and extra furniture in storage for the entire year. We have no long-term contracts, and you can access your space on any day of the year. If you have a lot to move into storage, then be sure to ask about our free* local truck that will help you make one trip instead of several. *At participating locations. Some restrictions apply. This entry was posted in Self-Storage St. Louis and tagged affordable storage, self-storage, self-storage near me, self-storage units, storage near me, storage units on April 7, 2019 by admin.